Advanced Control Engineering provides a complete course in control engineering for undergraduates of all technical disciplines. Starting with a basic overview of elementary control theory this text quickly moves on to a rigorous examination of more advanced and cutting edge date aspects such as robust and intelligent control, including neural networks and genetic algorithms. With examples from aeronautical, marine and many other types of engineering, Roland Burns draws on his extensive teaching and practical experience presents the subject in an easily understood and applied manner. 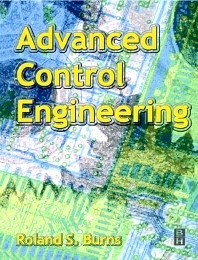 Control Engineering is a core subject in most technical areas. Problems in each chapter, numerous illustrations and free Matlab files on the accompanying website are brought together to provide a valuable resource for the engineering student and lecturer alike.